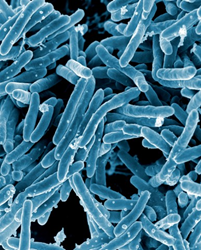 Evidence-based, cost-effective technology advances TB treatment. Mycobacterium tuberculosis causes TB -- the leading infectious disease and cause of death globally claiming 1.8 million lives each year. The SureAdhere VOT app saves money while providing high quality, patient-centered care that could increase adherence and cure rates. SureAdhere Mobile Technology, Inc.™ this week announced the launch of its video-based directly observed therapy (VOT) in the United Kingdom. The mHealth platform supports the National Health Service (NHS) Find & Treat TB-control program with outreach that tackles TB among Britain’s most vulnerable populations. The U.K. has the highest rate of TB in Western Europe. More than 2500 people living in London are diagnosed with TB each year. SureAdhere announced the expansion into Britain at the 48th Union World Conference on Lung Health in Guadalajara, Mexico. Tuberculosis is the leading infectious disease cause of death globally, claiming 1.8 million lives each year. Directly Observed Therapy (DOT) is used to support patient adherence to TB treatment that can take six months or more to complete. The World Health Organization, the NHS and the U.S. Centers for Disease Control and Prevention recommend DOT for monitoring TB treatment. Health care workers personally observe patients taking each medication dose at the clinic, the patient’s home or an agreed upon location for the duration of treatment. This costly, labor-intensive method often is impractical to provide for all patients. VOT offers a new and efficient way for health care workers to verify that prescribed doses are taken without the need for travel by patients or providers. The SureAdhere mobile app allows patients to video-record their medication ingestion. The videos are encrypted and uploaded to a secure server where staff can view the content and make notations in the system’s database. The SureAdhere VOT app saves money while providing high quality, patient-centered care that could increase adherence and cure rates. SureAdhere is working closely with Find & Treat founder and clinical lead Dr. Alistair Story to identify ways to enhance the VOT app while developing best practices for using it to fight TB, and potentially other infectious diseases. Find & Treat will serve as a role model for implementing VOT in other TB programs around the world. About SureAdhere Mobile Technology, Inc.
SureAdhere is a San Diego based provider of a unique mobile health platform enabling remote medication adherence monitoring for patients with TB and other diseases. Led by CEO Kelly M. Collins, PhD, MPH — an expert in global public health and infectious disease epidemiology, SureAdhere’s primary focus is on the treatment and cure of TB globally. For more information, visit http://www.sureadhere.com or call +1-775-343-5302. The Find & Treat team is multidisciplinary and includes former TB patients who work as peer advocates, TB nurse specialists, social and outreach workers, radiographers and expert technicians. The UCLH Find & Treat team takes TB control into the community, finds cases of active TB early and supports patients to take a full course of treatment and get cured. Find & Treat works alongside over 200 NHS and third sector front-line services to tackle TB. For more information visit http://www.ucl.ac.uk/tb/research/find-and-treat.